Dump These 3 High-Yield BDCs Now! Business Development Companies (BDCs) are a popular stock sector with yield focused investors. These are companies that provide financing to small and medium sized corporations. BDCs are pass-through businesses, which means they pay no corporate income taxes if 90% or more of net income is paid out as dividends to shareholders. There are some great BDC stocks, but you need to be aware of the danger signals that point to a dividend cut. BDCs have many features in common with closed-end funds (CEFs). However, there is one major difference when evaluating CEFs and BDCs for investment potential. With a closed-end fund, having the market share price is trading at a discount to net asset value (NAV), can be viewed as a positive investment opportunity. The discount allows you to buy the CEF’s assets at a discount to their actual value. Everybody likes a deal, and a CEF trading at a discount is a good deal. In contrast, with a BDC, a share price trading at a discount to book value/NAV is a danger signal. Many investors see a discount and think they are getting a good deal. This is not the case. As noted above, a BDC makes loans to small and midsized corporations. These are companies that cannot get loans from commercial banks or access the public bond markets. The result of taking on riskier clients is a BDC will experience a certain level of loan losses. These losses will cause an erosion in the book value, unless the BDC management has a strategy to offset loan losses. If a BDC’s stock trades at a premium, the company can easily build book value and net income by issuing shares. 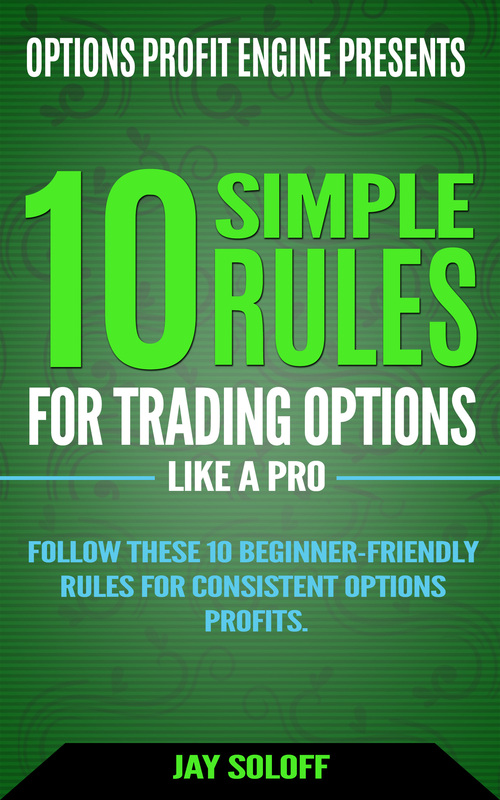 For example, a BDC trades at a 20% premium to book. The company sells $100 worth of stock and receives $120, which can be used to make $120 of new investments to generate interest income. Selling shares at a premium to book value allows a BDC to grow its portfolio and sustain its dividend. If a BDC is trading at a discount to book value, its likely that corporate rules won’t even allow the company to issue new shares. This BDC does not have any good path to grow its portfolio, and due to loan losses, the portfolio and net income will erode over time. The result is an inevitable reduction in the dividend rate. A BDC that consistently trades at a steep discount to book ends up in an almost insurmountable death spiral. These are the high yield BDCs to avoid. Here are three examples. 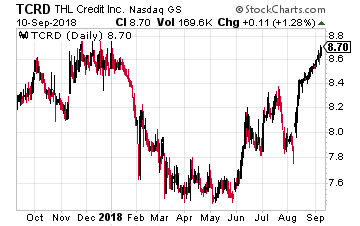 THL Credit Inc. (Nasdaq: TCRD) is a $280 million market cap BDC with a $559 million investment portfolio. The company specializes in providing debt financing to private equity sponsored companies. As of the end of the 2018 second quarter there were 43 portfolio companies. This means a single default would cause a 2.5% hit to the book value. At the end of Q2 the company’s NAV was $10.23 per share. The current share price of $8.67 gives a 15% discount to NAV. A continued discount means the company will likely not be able to support the current dividend for a 12.5% yield. BlackRock Capital Investment Corp. (Nasdaq: BKCC) is a $440 million market cap BDC with a current yield of 11.5%. 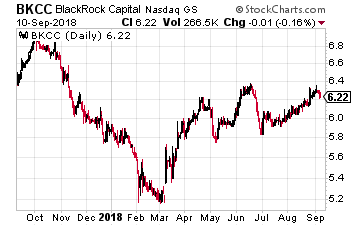 The $6.25 share price against a second quarter book value of $7.56 means the shares are at a 17% discount to NAV. For the second quarter, net investment income of $0.16 per share came up short of the $0.18 per share dividend rate. BKCC does have the benefit of a strong sponsor in BlackRock, and the company has been buying back the discounted shares. However, the dividend is still greatly at risk and this BDC should be avoided until the share price is equal to or greater than the NAV and the net income covers the dividend. 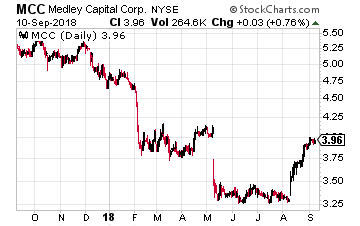 Medley Capital Corp. (NYSE: MCC) is the poster child for a troubled BDC. The company has a $215 million market cap and the shares yield 10%. The yield is relatively low because the dividend was slashed by 37.5% in May. The dividend had also been reduced by 27% in May 2017. This is a BDC in a death spiral, where there is no hope for a recovery, even after the company has slashed its dividend. The telling metric is that the share price at $3.96 continues to trade at a 38% discount to the $6.43 per share NAV. For comparison, a year ago the NAV was $8.84 per share. Get your hands on my most comprehensive, step-by-step dividend plan yet in this free online video workshop. In just a few minutes, you will have a 36-month road map that could generate $4,804 (or more!) per month for life. It's the perfect supplement to Social Security and works even if the stock market tanks. Nearly 7,000 retirement investors have already followed the recommendations I've laid out.